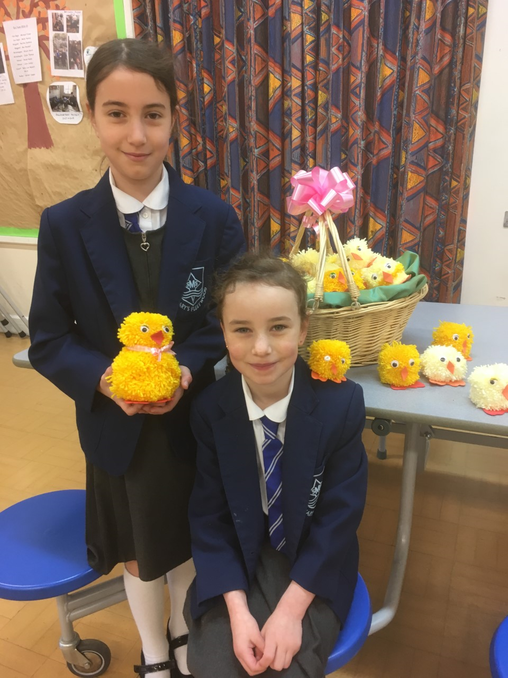 Pom poms to Easter Chicks.......so that is what they have been doing with all those pom poms! 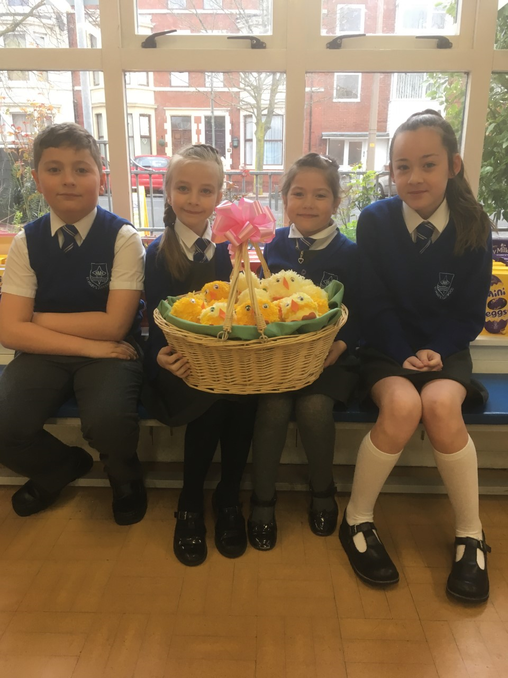 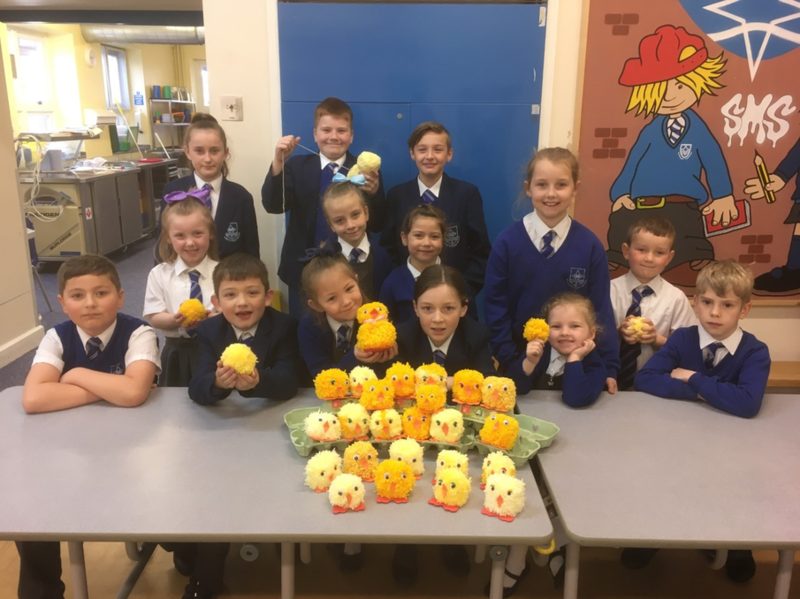 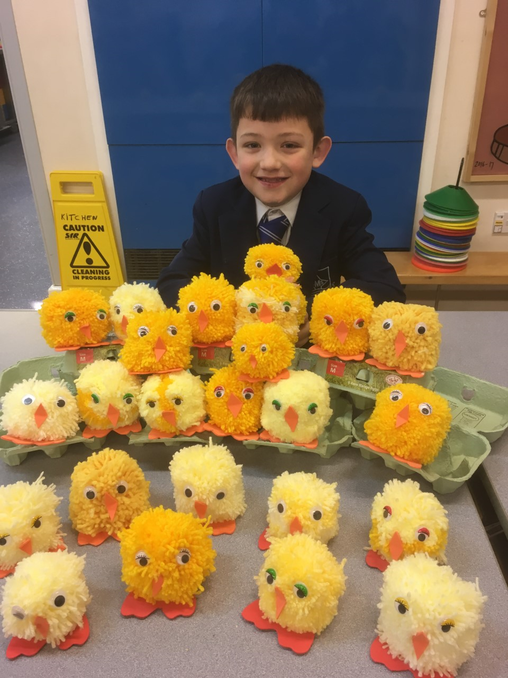 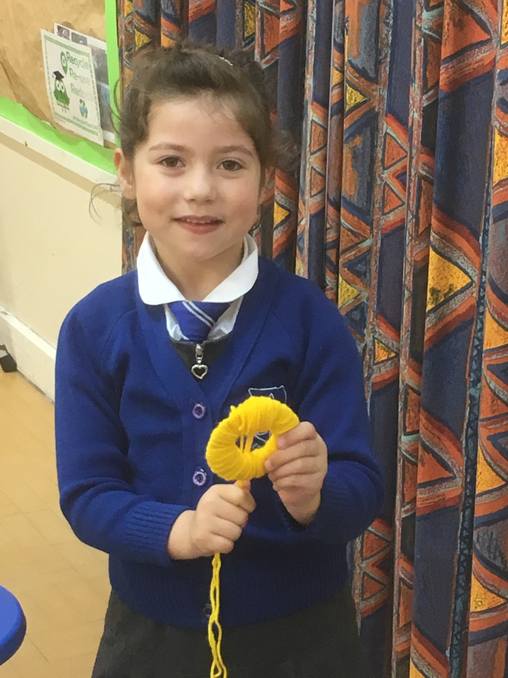 Our wonderful Breakfast Club children and staff have been hard at work creating these lovely chicks from all of the pom poms that they have been making. 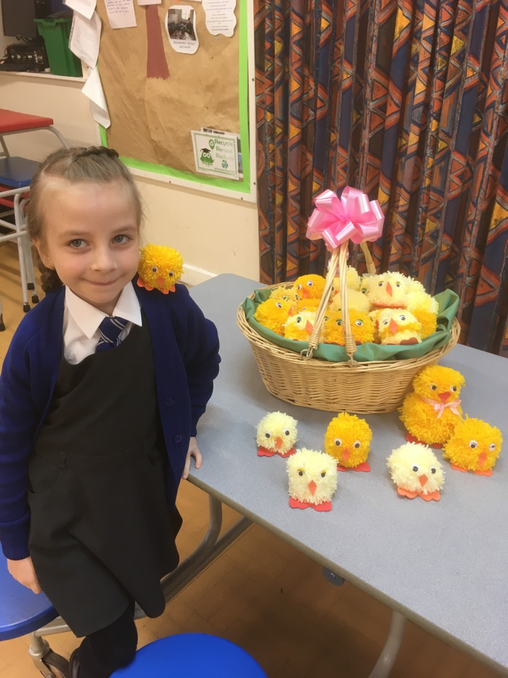 What a great way to say Happy Easter!